As I continue to go through my archives of materials made over the years, I have found more to share! 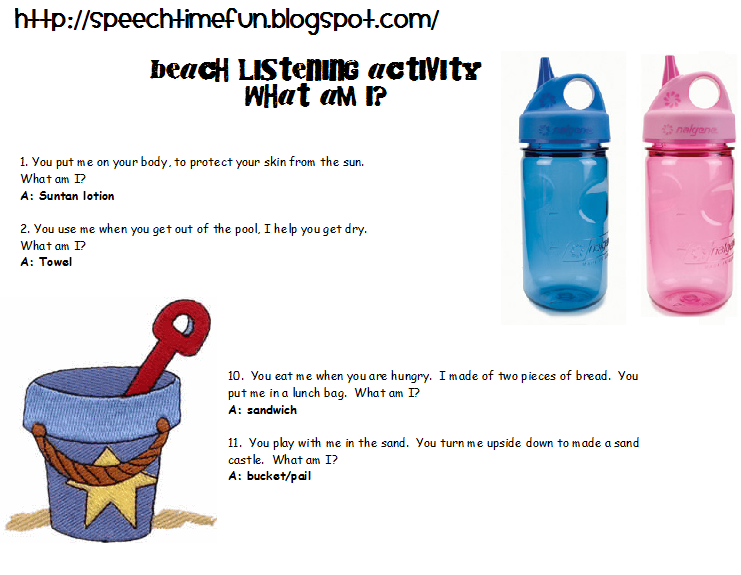 This activity is with a beach theme to work on listening and building vocabulary! You can use this activity in many ways. 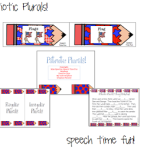 You can use the picture cards to introduce vocabulary. 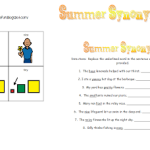 You can print twice and use for memory games and matching to help review. 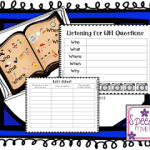 Then you can review the vocabulary in a listening activity. I provided clues. You can read the students the clues. 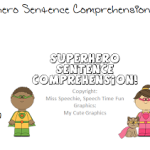 You can choose to show all the pictures, or use them if the student is having difficulty. Can they guess the beach vocabulary?! 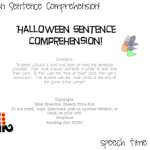 Can your students read? They can read the clues to each other! I hope you can find this useful! 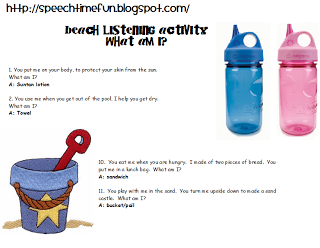 Just an easy activity with little preparation to work on several goals: vocabulary, listening, turn taking, answering questions, /ch/ sound (“I see ___ at the beach”), and more! 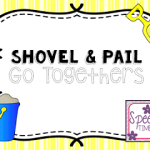 BHSM: Shovel & Pail Go Togethers! ((FREEBIE!!)) & giveaway!